Both the bibliography and the article on The Nine Dragon Scroll have been updated. The Dragon Species section has three new entries on Boa, Uwabami, and Vouivre. New entries have been added to the Dragon Slayer section: Wada Heita Tanenaga and Tokoyo. In different parts of the world, the word dragon carries different connotation. Some claim the creature is an evil being sent by the Great Evil to harm mankind. Others tell tales about benevolent dragons who sacrificed themselves to save humans or promote fertility. Both disaster and bounty have followed in their wakes. In the modern world, dragons have spread as a wild fire; both through the internet and through books, they've grown. Out of all the creatures in mythology, the dragon is one of the most present. Where did this creature come from? Why do so many mythologies tell the tale of at least one dragon? 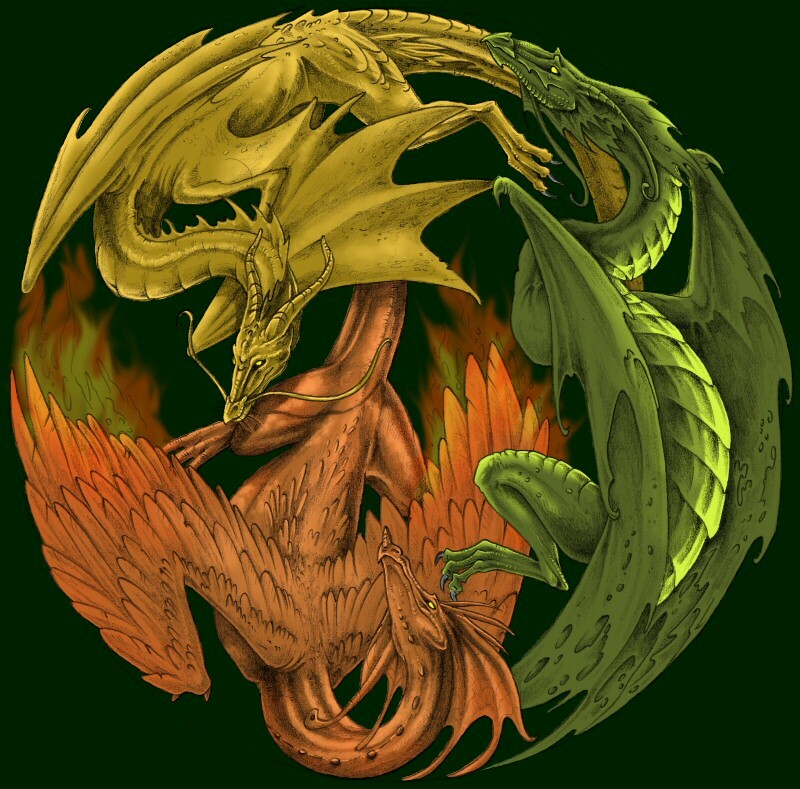 This site is here to help you unlock the mystery of the dragon, and I hope it can be informative as well as entertaining. To begin, select one of the menu items from the side bar on the right. This web site is rated at 14 for slightly offensive material. Parents and teachers should be warned that this site contains stories from mythology, history, and folklore, some of which are quite violent and/or contain adult themes. This site also contains information from subjects like alchemy, which can be offensive to some readers. If you are a parent or teacher reviewing materials for children or students under 13, please be certain to read each page completely before allowing them to view it. This document was printed from The Circle of the Dragon <http://www.blackdrago.com/>. All content and design © Kylie 'drago' McCormick, 2000-present.